Fulfillment by Amazon (FBA) is an Amazon program in which third-party marketplace sellers can leverage Amazon fulfillment centers to fulfill their own orders. To determine whether FBA is the way to go for their online business, retailers need to understand the basic terms and phrases that go along with FBA. Below is a cheat sheet to help retailers understand whether FBA is the best option for them. Before we get started with FBA, however, we should first understand Fulfillment by Merchant (FBM) and The Amazon Plateau. FBM is when sellers are responsible for their own storage, shipping and customer service. The Amazon Plateau is a late-stage phase that most Amazon sellers languish in. It’s a long-term period of stagnant sales growth that occurs when long-time sellers cease to focus on their company's initial development and growth, and instead begin to get bogged down in the everyday details of operation. The result? Customer service overburdens the seller’s already limited resources. The competition consistently dominates Buy Box share and top-selling products don’t receive enough visibility on the Amazon SERP (Search Engine Results Page). Sales become flat-lined. This is why a powerful lever like FBA is such a significant tool in a seller’s overall Amazon marketplace strategy. The Basics: What is FBA? Fulfillment by Amazon is a program where third-party sellers can utilize Amazon’s fulfillment infrastructure to warehouse units, pack and ship orders to customers and provide customer service for those orders. With FBA, the seller is essentially only required to label and ship units to an Amazon warehouse. 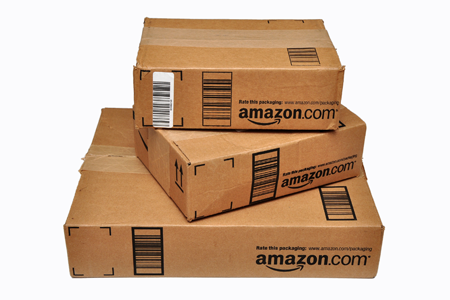 Once Amazon receives and scans in the units, those products are immediately available for sale. 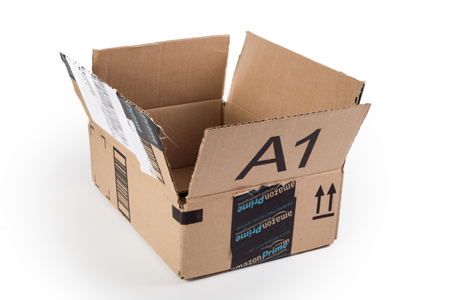 From there, Amazon handles storage, packaging, shipping and customer service on behalf of the merchant. Why is FBA a Big Deal? Perhaps the most obvious beneficiaries of FBA are small business owners, who likely don’t have efficient fulfillment systems in place and don’t want to risk the potential negative effects that a poor customer experience could instigate. At the most basic level, therefore, Amazon is a very favorable business partner. •	The fact that FBA represents a seller’s brand in a more positive light. There is a very strong correlation between FBA utilization and higher sales performance. A common misconception is that sellers have to be either 100 percent FBA or FBM, but in reality most sellers use both. In fact, FBA is most effective when sellers have a good understanding of their listings. A seller doesn’t need to utilize FBA for all of their listings, and FBA is most effective when a seller factors in product size, sales performance and margin for each item before determining its fulfillment method. What is Product Discoverability & Product Buyability ? Product discoverability is the ability for a product listing to be found on Amazon and Product Buyability is the ability for a product to be sold on Amazon. Both are based upon a seller’s scoring and reviews. Amazon has a variety of factors that it reviews when determining a product’s discoverability and buyability. The Discoverability Factors that FBA impacts are sales performance history and fulfillment method. The Buyability Factors that FBA impacts are fulfillment method, fulfillment latency, seller rating and seller feedback. Overall, using FBA can positively impact both a seller’s discoverability and buyability because Amazon considers its own fulfillment services to have perfect scores across many variables. Unless a seller has relatively high scores in all areas, it is far less likely that an FBM seller will win the Buy Box over an FBA seller. While FBA can be a great resource for merchants, there are some downsides to consider. Depending upon what you are selling, the fees associated with FBA can be quite costly. It’s true that using FBA will take the place of the seller’s normal fulfillment costs. However, if you’re not careful FBA-related fees can climb higher than you anticipated. For instance, if your product isn’t selling quickly, you can incur hefty storage fees. The type of product you are selling can also impact your expenses: The fulfillment fees Amazon charges on a large, heavy and low-priced item will eat up a large portion of your profits. On the flip side, a small and light item that sells at a high price will be relatively more lucrative for FBA sellers. If a retailer doesn’t have time to label their entire inventory, they put themselves at risk for commingling. When a merchant sends product to Amazon’s fulfillment centers they can either label all their products, or send as stickerless inventory. If a product is sent without a label, the products will be pooled with identical products sent by other sellers. This puts the seller at risk to have defective or lesser quality products sent out in their name. While FBA can be a great resource for sellers to overcome the Amazon Plateau and boost their products’ discoverability and buyability, merchants need to understand their overall business needs to make an informed decision about using FBA. Shmuli Goldberg is the Director of Marketing at Feedvisor and an experienced marketer, who has worked with online sellers of all sizes to improve their online performance. An analytics geek at heart, Shmuli has spent hundreds of hours delving into the intricacies of the Amazon and eBay marketplaces. Previously, Shmuli has acted as Senior Technology Evangelist and Director of Marketing at ClickTale, and has been a featured speaker at industry conferences all over the world.